A family in despair rediscovers its faith in this uplifting drama from the producers of WWJD: What Would Jesus Do? 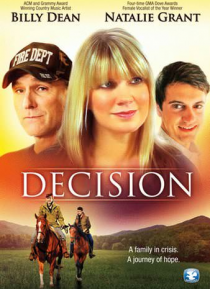 Natalie Grant (Four-time GMA Dove Awards Female Vocalist of the Year) stars as Ilene, who struggles to make ends meet after the tragic death of her firefighter husband (country music star Billy Dean). When she begins to lose control of her heartbroken teenage son Jackson (Michael Rose… nbaum), she reaches out to her estranged father Wyatt (Rusty Whitener), a farmer, to take in the troubled boy.